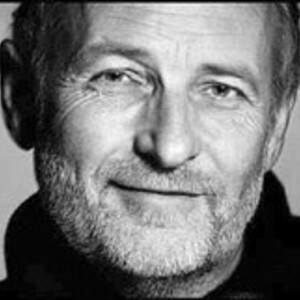 Niels Hausgaard (born August 31, 1944) is a Danish singer, composer and entertainer. His career took off in the 70'ies, where his songs were delivered in his local tongue "vendelbom?l". Since then he has elaborated as an artist with a compound form of humor, which he delivers personally on yearly tours of Denmark. Niels Hausgaard has deep contact with his audience on these occasions, which gives them each an individual setup. His career took off in the 70'ies, where his songs were delivered in his local tongue "vendelbom?l". Since then he has elaborated as an artist with a compound form of humor, which he delivers personally on yearly tours of Denmark. Niels Hausgaard has deep contact with his audience on these occasions, which gives them each an individual setup. When he is not performing or writing new songs, he takes care of his horses.